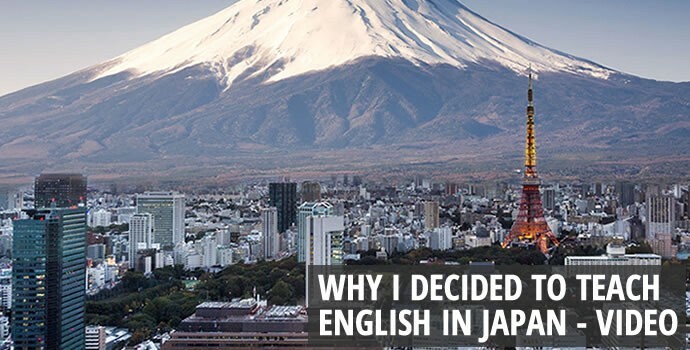 Thom, an ESL teacher in Japan for 10 years, talks about why he decided to teach English in Japan, his memories of helping students succeed, participating in Japanese cultural traditions, and how teaching English abroad changed his life. Hi, my name’s Thom and I taught ESL in Japan for about ten years. I first went overseas to teach because after I finished my Education degree it was pretty difficult to find full time jobs at home and at the same time I knew I wanted to live overseas again as I had done a term abroad in England, and while England was great, I really wanted to experience a much more different culture in a non-English speaking country, and that’s where Japan came up. I had always been interested in Japan, I had a lot of friends from there, and I had studied a fair bit of the history while I was in university, so it was a natural choice for me. 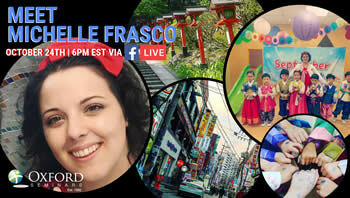 I have lots of great memories from my time in Japan. I guess most are probably based on seeing student successes in the classroom. For example, spending a term with a group of young kids who couldn’t speak a word of English at the start, and then a few months later they were there greeting me in English in the hallways and trying their best to tell me what was going on in their lives, to university students coming in to thank me for helping them get a high enough TOEFL score so they could actually study abroad at university in places like New York or L.A.
Aside from the job of actually teaching ESL, life in Japan itself was pretty amazing. One great tradition I came across was seeing the New Year’s sunrise but from the top of a mountain. The tradition there is that a lot of people will hike up the mountain in the dark to see the sunrise on New Year’s Day from the peak. So my friend and I, off we went and it rained all the way up. There was no clear sunrise, but we did have a cup of Sake from the priest at the small temple at the top, then took some time to cook cup noodles on my camping stove as the skies lightened a little bit and the rain continued. That said, we loved every minute of it. And I guess now that I am back home I am already beginning to plan another long stay abroad, this time to Malaysia but not before a year or two of my time spent in the U.A.E. It’s kind of hard to explain the difference that teaching overseas has made in my life. It’s not one very easy to identify change. It seems that every experience I’ve had with another culture, or with another language has given me a wider appreciation for the many ways that people choose to live around the world. And while coming home was really great after my time overseas, I think that most people who do it end up like me. Not long after getting home, they’re already planning where they’re going to go next. I would like to know if you don’t have a teaching degree, will you still be able to work in Japan, Korea, etc?